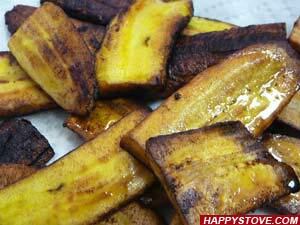 Wash and cut in thin slices the cucumber. Squeeze the orange saving the zest. Using a food processor, mince the min leaves with the olive oil, the lemon juice and the orange juice. Adjust with salt and pepper. 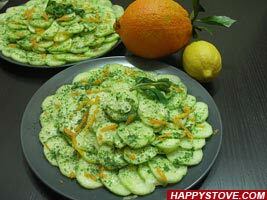 Dress the cucumber salad with the mint sauce and garnish with orange zest and few whole mint leaves. To remove the bitter taste from the cucumber cut the ends. Dip the cucumber extremities in salt and rub the ends against the cucumber removing the white foam that comes out. That's because some cucumbers can be very bitter near the ends.